Winter gives us time to do some fun projects in preparation for the next year’s party season. One fun project is our loft. 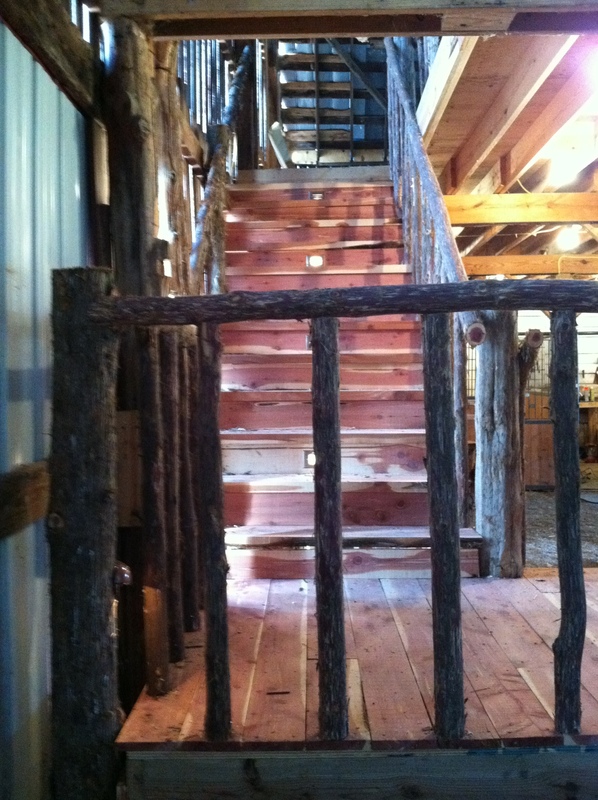 We have a huge open loft in the top of our barn; but the access to it was rough. 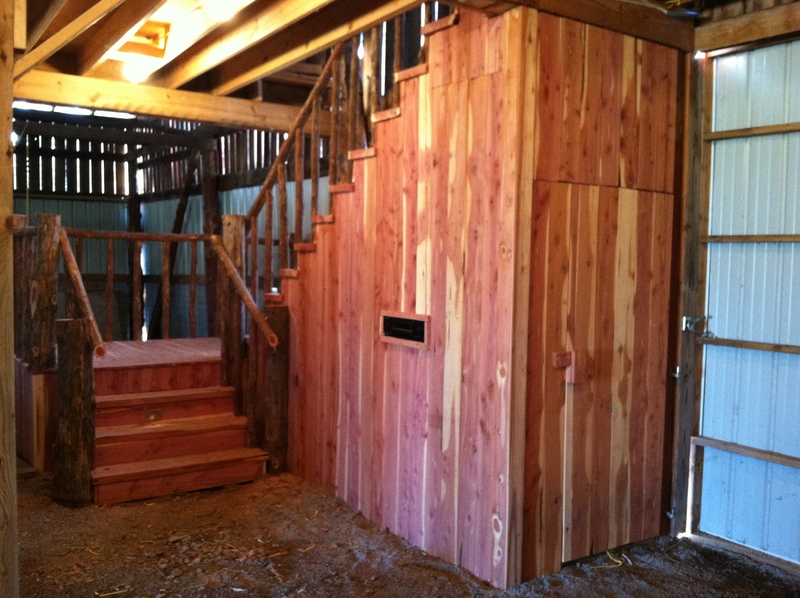 So we recently tore out the loft ladder and built this new wider, safer stair case out of cedar. It looks awesome and smells even better. Some of the cedar posts even came from the farm. And here’s a sneak peek at the loft, though it’s still under construction. We’re in the process of opening it up and cleaning it up now. 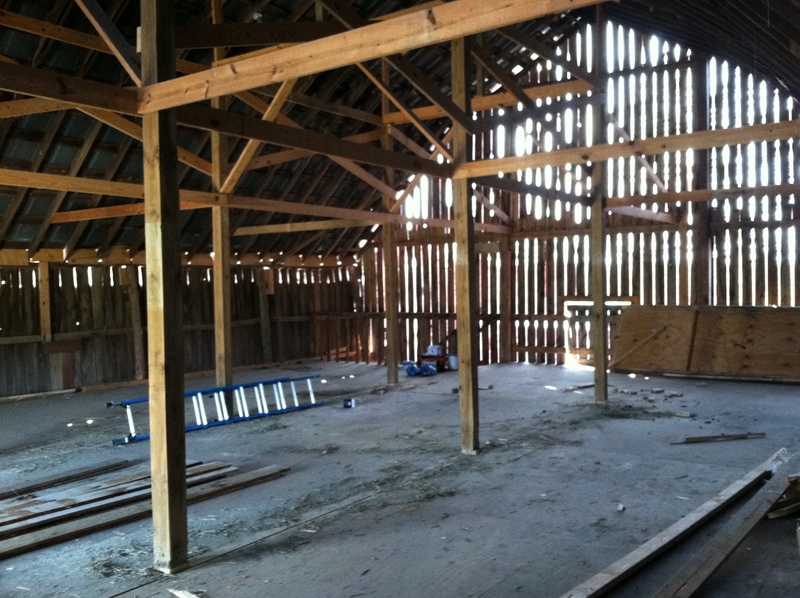 When it’s done, it will be a perfect place for a dinner, songwriter’s night, etc. for 75 or so people.